Hot colors in the heat dome. 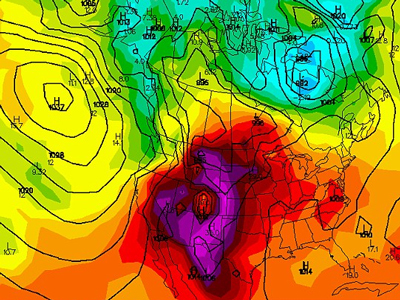 The newscasters and weather forecasters are having a field day with the heat wave. They’re frying eggs on the pavement and baking cookies in cars and they have a new term, “heat dome,” to describe the blistering weather pattern. The urgency in their voices reminds me of “The Twilight Zone” episode where the Earth is moving closer to the sun. These are the same people, mind you, who whip up winter hysteria when snow is predicted. It seems that no matter what Mother Nature throws at us, she’ll never make everyone happy. I must admit, though, I am enjoying the heat dome — or as I call it, summer. 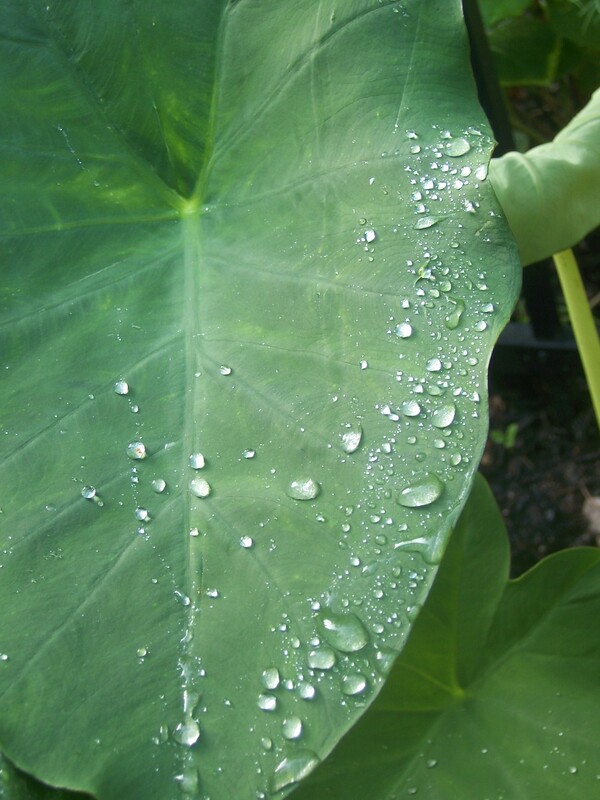 Yes, it’s hot, and yes, I’m spending lots of time quenching my thirsty plants. For lots of reasons — too many to get into here — I like the warmth. I like the casualness of the season. And I like the time spent in the garden, because the days of the heat dome are numbered. In honor of this sentiment, I would like to share a few hot colors from around the yard, as well as a few cool thoughts to remind us of what was and what will come. 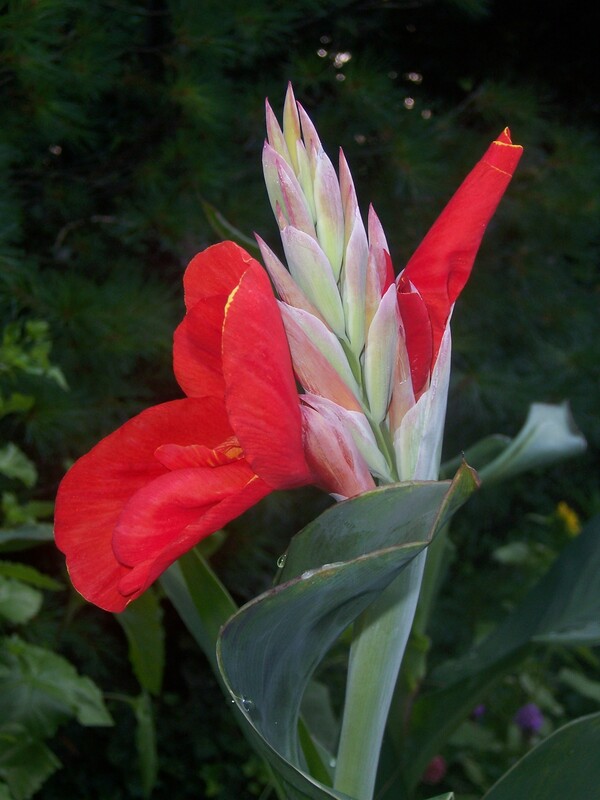 My reward for saving Canna corms each autumn. We arrived home late last night, and the first thing I did today was to take a walk around the yard. Joe’s mom did an excellent job at keeping things alive during our brief heatwave. 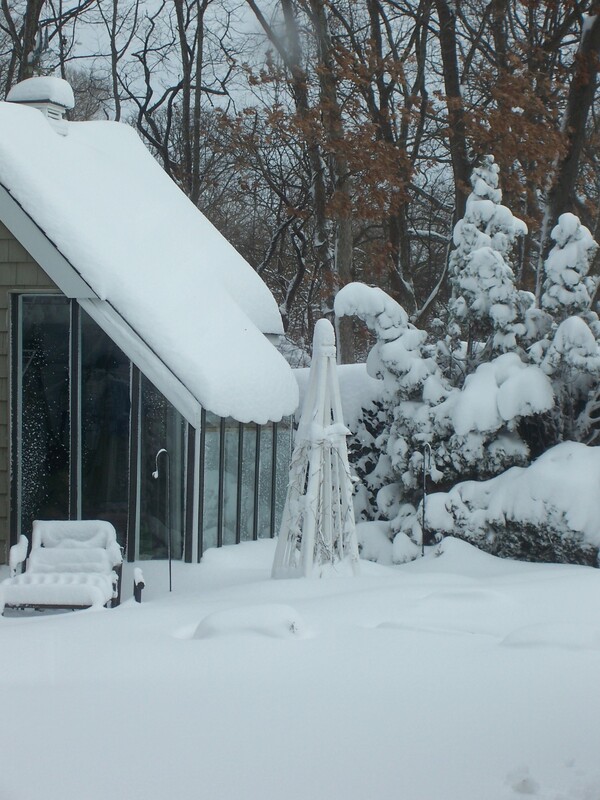 I cannot believe what popped while we were away for only a few days. I thought I would share my findings here. 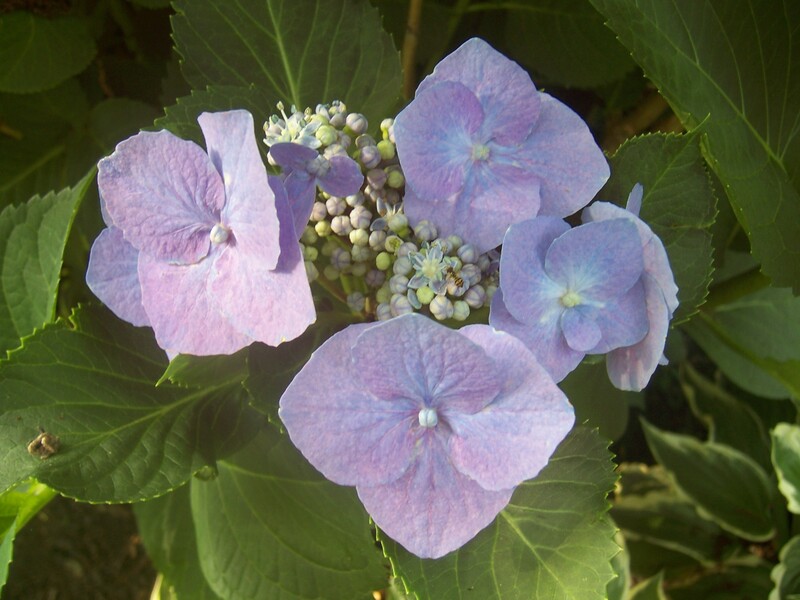 This lacecap Hydrangea impresses me each year. 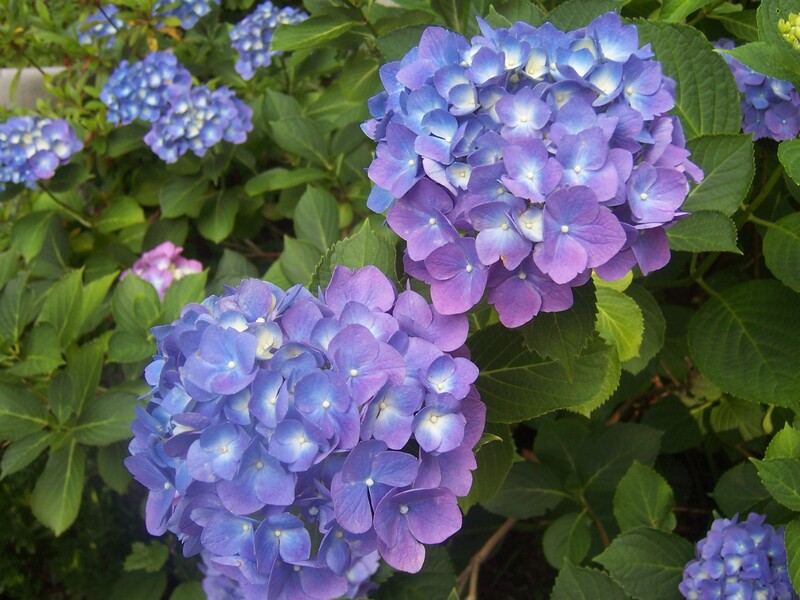 First, because of the violet color. Second, because of the size of the flowers. 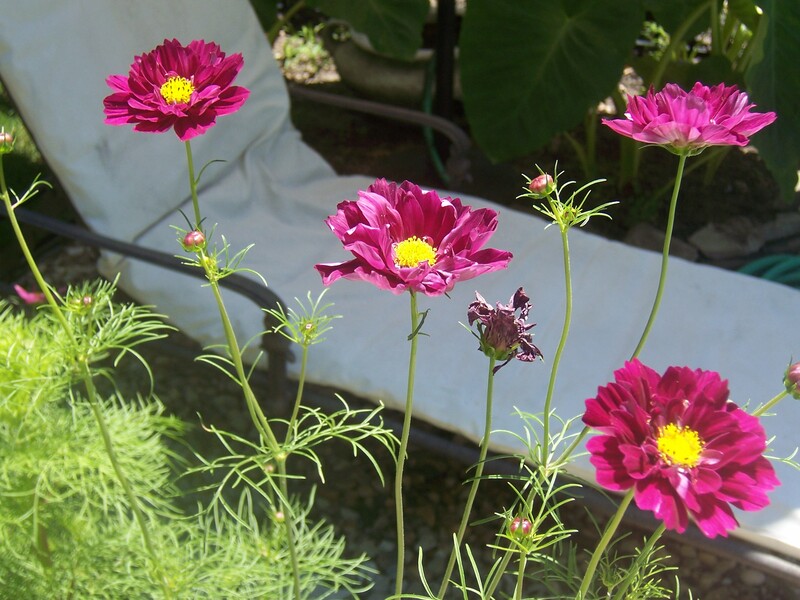 One of my favorite easy-to-grow-from-seed flowers: Cosmos. Please excuse the shriveled one -- it's been a hot couple of days. I'm not sure of the name of this plant, and I'm not sure if it's a curse or a blessing. It's practically invasive, spreading by means of runners. 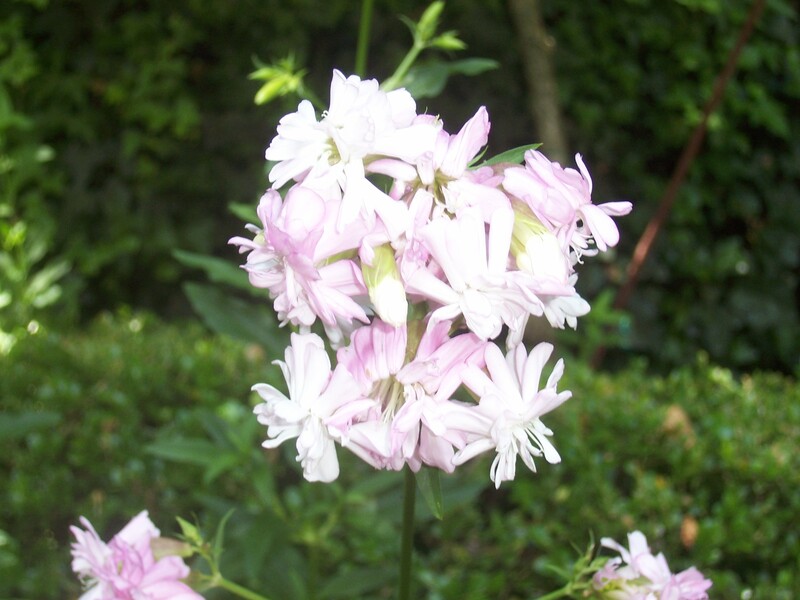 The clumps of pink flowers, however, are sweetly smelling and perfume the air, especially at night. This is my reward for saving this Geranium each year. 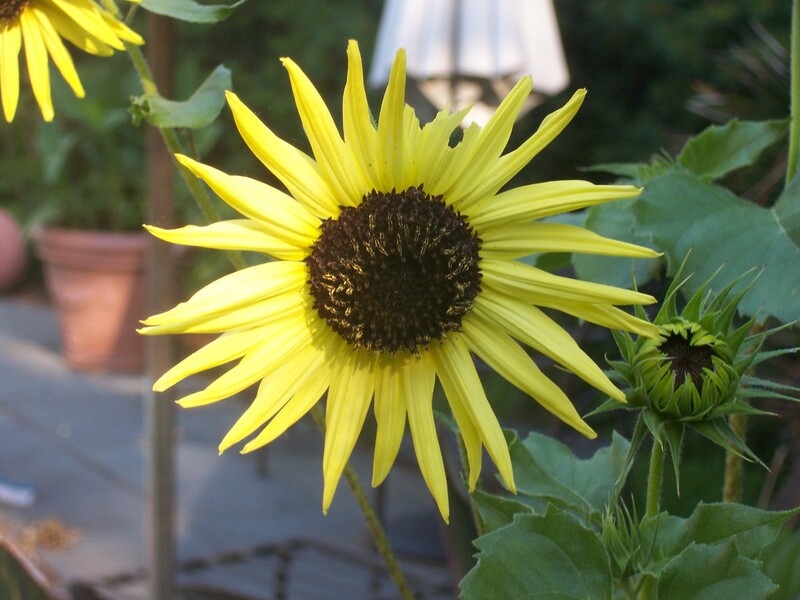 I actually planted this from seed several years ago, and I cannot part with the hot color. I decided to give Sunflowers another try. According to the seed packet, this is "Italian White." Does this look white to you? Is yellow the new white in Italy? Meet Nelly Moser. 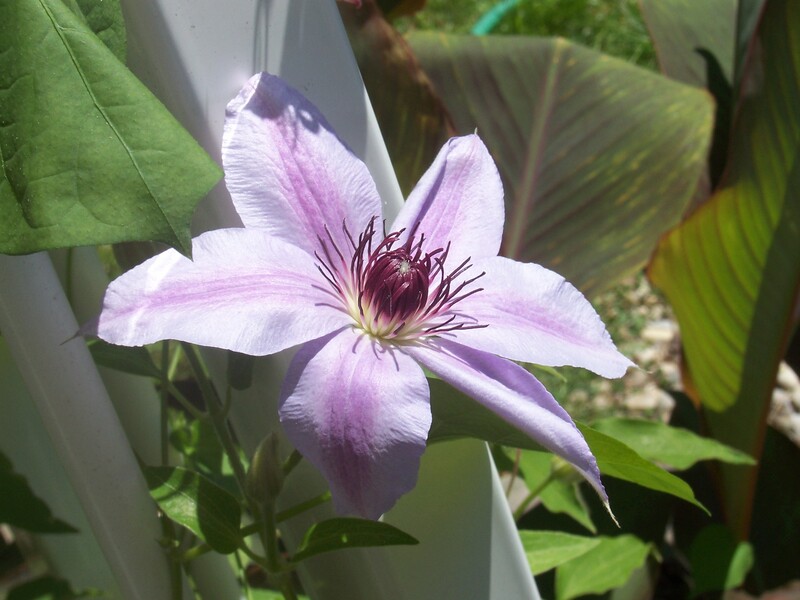 I thought I lost this Clematis over the winter after a wind storm ripped the trellis out of the ground. I put the trellis back into the ground, and "Whoa, Nelly," she returned. 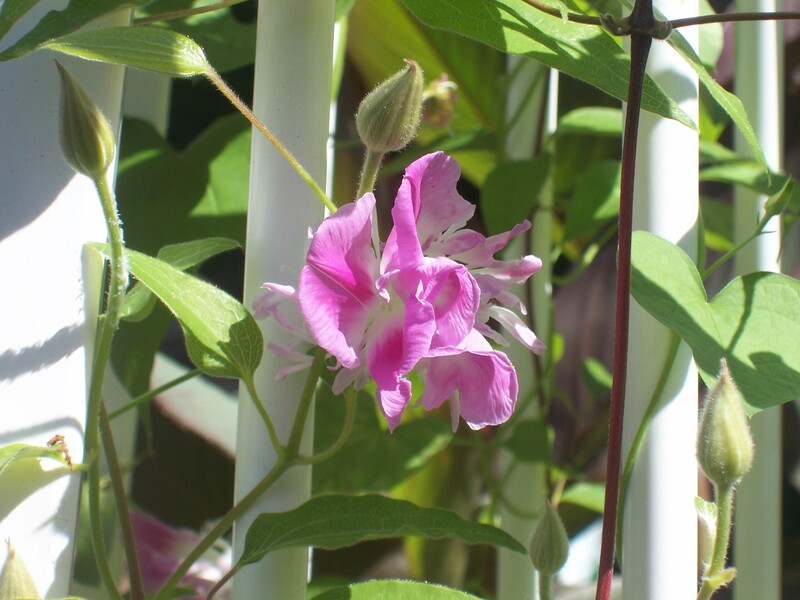 I planted Morning Glory seeds around the same trellis as Nelly Moser. This is a double flowering variety. 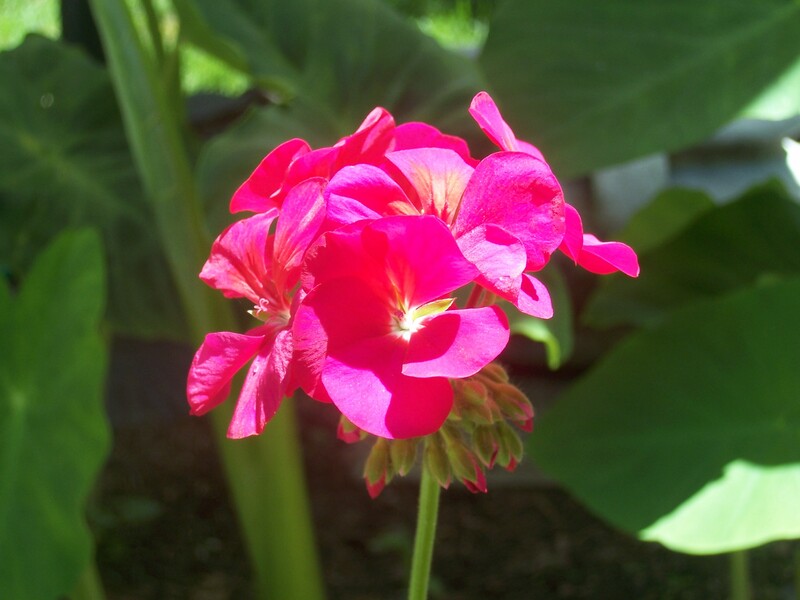 Normally, I stick with traditional red Geraniums. This year, I started white ones from seed, and I'm glad I did. 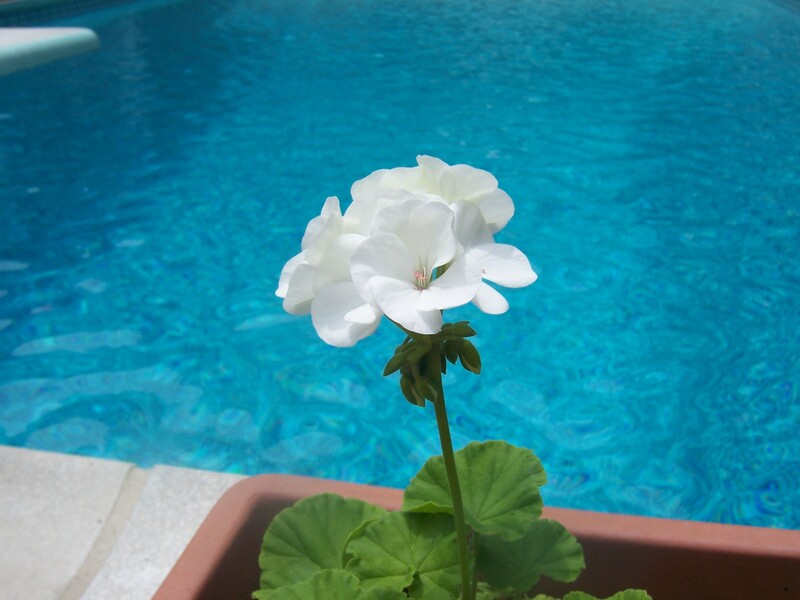 Seeing them poolside reminds me of the colors of Santorini. 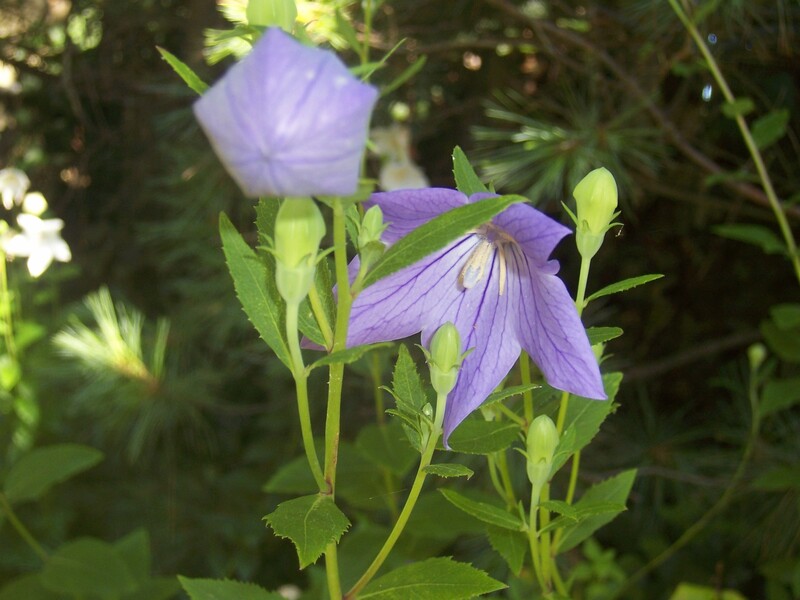 Campanula ready to burst open. Please, humor me with another Hydrangea photo. This is just outside of the front door, and began as one those Easter gift plants that was forced to bloom too early.